Happy New Year everyone! I hope you’ve enjoyed your first day of 2017 as much as I have, which means I have been cooking up some delicious recipes for ya’ll! This is one of my favorite days of the year because we have an entire year to get ourselves together, but in order for us to start it off right we have to have cabbage and black-eyed peas. While I’m not a big fan of cabbage, I usually hide it in other food (such as my Unwrapped Cabbage Roll Soup), I do like black-eyed peas. 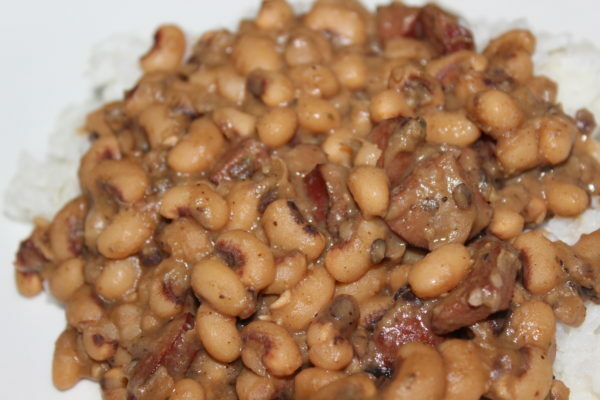 Black-eyed Peas are a tradition for the new year! 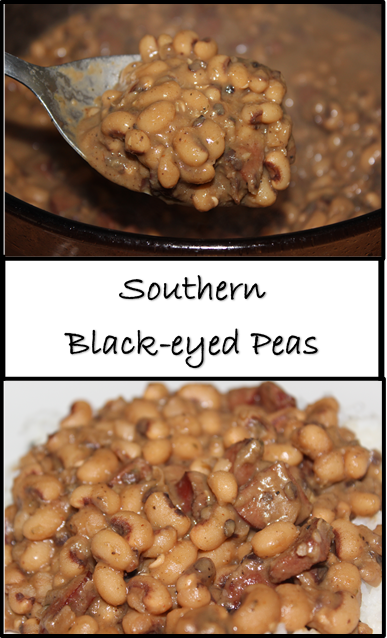 These are creamy and delicious black-eyed peas with lots of flavor! Check out the recipe and try it for yourself! 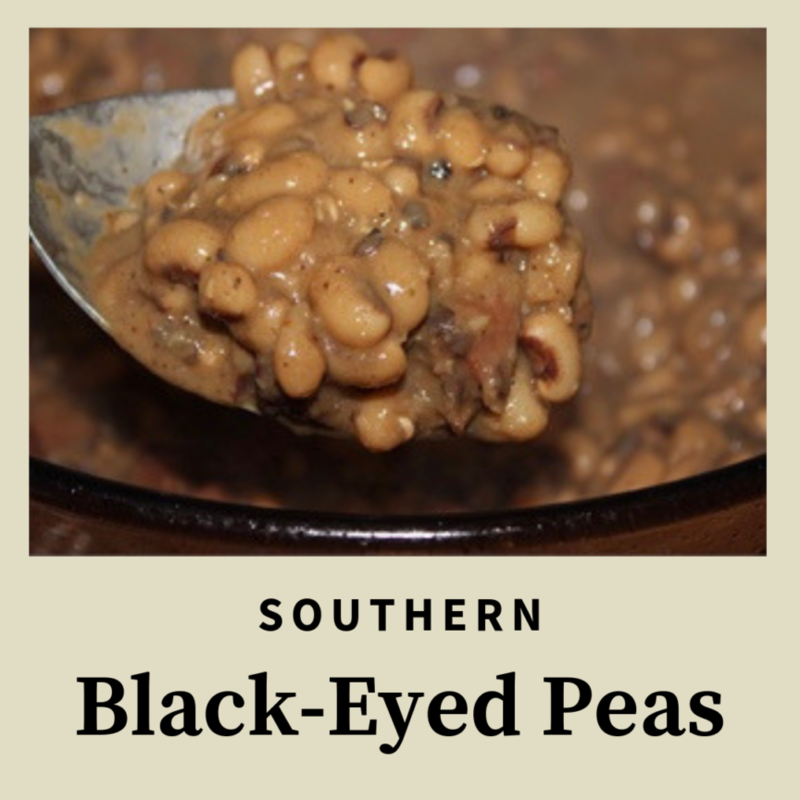 Place black-eyed peas and a few cups of water in bowl. Let sit for one hour. While you do this, chop the onion, celery, bell pepper, and sausage. 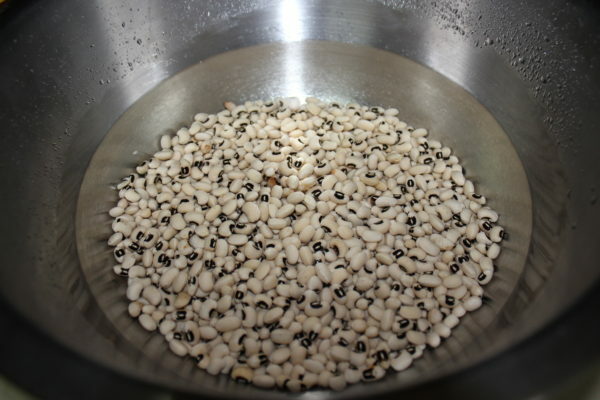 Once your black-eyed peas have finished soaking, start browning onions, bell pepper, and celery in 1 tsp olive oil. Brown until a dark brown color, about 10-15 minutes. Add sausage and brown sausage for about 5 minutes. Add in the soaked black-eyed peas and 8 cups of water. Stir. Add in seasonings. Stir and cover. Let simmer for one hour on medium-low heat. Stir occasionally so that the beans do not stick to the bottom of the pot. Once beans have cooked for one hour, start smashing some of the beans on the side of the pot and mixing in with the rest of the beans. This is a VERY important step. This gives the beans their creamy consistency.